Hawaii is a magical place of spectacular natural wonder. One of the most beautiful chain of islands in the world, here you can find convenient vacation rentals in Hawaii on the Big Island, Oahu, Kauai, Maui, Molokai, and Lanai. From the urban bustle of Honolulu and Waikiki to secluded corners of Oahu and Molokai, you can find whatever pace is right for the family. Hawaii rentals offer the luxury of keeping to yourself or setting out on adventures of a lifetime. The beaches, restaurants, clubs, museums, and other attractions in Honolulu provide a mix of activities for each family member. See a crucial place in history at Pearl Harbor or find your way up to Nuuanu Pali lookout to be amazed by the view. Even on Oahu you can take your pick of what side of the island you want to be on. 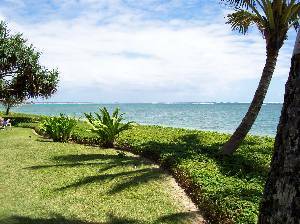 On the Big Island, experience your vacation at Hawaii condo rentals in the quaint resort of Kono or the capital city of Hilo. Experiencing nature rather than urban indulgement is the main activity here, with volcanoes such as Kilauea, Mauna kea, and Mauna Loa. Journey to most of the world's climate zones on one island; pack a lunch in the kitchen and set out on a hike along a lava field or in the mountains. Geography is the one thing that captivates visitors to Hawaii. Active volcanoes and serene beaches, to the mind-numbing cliffs of Kauai, the state has it all. No matter where you stay, there is most likely to be a mix of nature and culture. Visit museums or dine out where you can have the most sensational seafood anywhere, or party the night away at a Luau, where the boundary of food and entertainment are literally blurred. If an escape from city life is on your mind, a visit to Molokai is just the thing. The island is advertised as having no building that stands taller than the coconut trees that are so prevalent here. Best of all, the comfort of Hawaii rentals doesn't interfere, and with the help of an owner you can find a rental that may be more affordable than hotel or motel room, given what the space has to offer. In Hawaii, each island has its own character and unique things to do, but whichever you choose there is no disappointment. Whether you choose the beach or shopping, a jet ski tour or a massage, or a hike or an off-road tour, Hawaii has everything to make a family vacation the adventure of a lifetime. Vacation rentals in Hawaii make your time spent here more enjoyable and relaxing. Leisure and activity blend in harmony so you can spend any portion of the day or night relaxing, and head out for a hike, to shop, or watch a spectacular sunset. Talk to an owner of Hawaii condo rentals today and pick an affordable option for your vacation budget. The offerings you'll find are much more desirable for families than a hotel or motel room. This is especially the case in Hawaii because the calming effects of the ocean, lush terrain, and ideal space will make it an unforgettable getaway. Check out nearby Hawaii , Kauai , Maui , Molokai , Oahu .